I've been watching you DS Alice Parr. I saw you trying to save the poor young woman you found in the park. The woman I tried to kill. I've been waiting for you to find her family. To find someone who cares about her. But you can't can you? You've never had a case like this. I know everything about you. You know nothing about me. Even though I'm the man you're looking for. And you will never catch me...To Catch a Killer is by Emma Kavanagh. Flavia de Luce, the twelve-year-old chemist and amateur detective is eager to turn professional. She and her father's valet, Dogger, have founded a detective agency, Arthur Dogger & Associates, and unexpectedly cut into their first case during the revelry at her sister Ophelia's wedding reception. After an eventful ceremony with a missing best man and spontaneous ventriloquist act, spirits are high as Feely and her new husband head for the towering and beautifully iced wedding cake. But as Feely slices into the first piece, a scream rings out - the bridal cake contains a severed human finger. Delighted, Flavia wraps the finger in a napkin and whisks it away to her chemical laboratory. By studying the embalmed skin, the indentation of a ring, and the slope of the fingernail, she'll not only be able to determine the identity of the victim - but also point a finger at a killer. 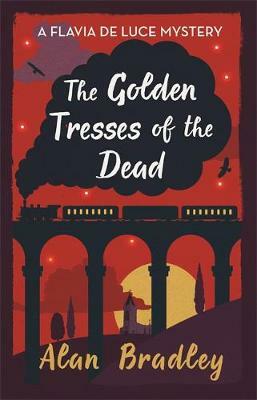 The Golden Tresses of the Dead is by Alan Bradley. Isaiah Quintabe - IQ for short - has never been more successful, or felt more alone. A series of high-profile wins in his hometown of East Long Beach have made him so notorious that he can hardly go to the corner store without being recognized. Dodson, once his sidekick, is now his full-fledged partner, hell-bent on giving IQ's PI business some real legitimacy: a Facebook page, and IQ's promise to stop accepting Christmas sweaters and carpet cleanings in exchange for PI services. So when a young painter approaches IQ for help tracking down her missing mother, it's not just the case Isaiah's looking for, but the human connection. And when his new confidant turns out to be connected to a dangerous paramilitary operation, IQ falls victim to a threat even a genius can't see coming. Waiting for Isaiah around every corner is Seb, the Oxford-educated African gangster who was responsible for the death of his brother, Marcus. Only, this time, Isaiah's not alone. Joined by a new love interest and his familiar band of accomplices, IQ is back - and the adventures are better than ever. 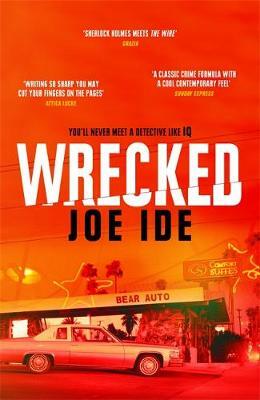 Wrecked is by Joe Ide. NOW.. My name is Matthew McConnell. You've probably heard my story. I took five of my friends on a boat through the longest canal tunnel in England. YOU... It takes two hours and twenty-six minutes to travel through that tunnel. Six of us entered that tunnel but I was the only one to come out. DON'T... It was pitch black in there - I don't know what happened to them. But I'm the only suspect. And if I don't find out how they disappeared, I'll be sentenced to murder. Now You See Me is by Chris McGeorge. The Wrong Mother is by Michel Bussi. I have several mothers. It's a bit complicated for me. Especially as they really don't like each other. There's even one who's going to die. Maybe it's a little bit my fault... Maybe everything happened because of me. Because I can't remember which one is the real one. Malone, a child of four, starts to claim that his mother isn't his real mother. It seems impossible. His mother has birth certificates, photos of him as a child and even the paediatrician confirms this is her child. The school psychologist is the only one who believes him and he's in a race against time to find out the truth . . . The Scandal is by Mari Hannah. When an young man is found stabbed to death in a side street in Newcastle city centre in the run up to Christmas, it looks like a botched robbery to DCI David Stone. But when DS Frankie Oliver arrives at the crime scene, she gets more than she bargained for. She IDs the victim as Herald court reporter, thirty-two-year old Chris Adams she's known since they were kids. With no eyewitnesses, the MIT are stumped. They discover that when Adams went out, never to return, he was working on a scoop that would make his name. But what was the story he was investigating? And who was trying to cover it up? As detectives battle to solve the case, they uncover a link to a missing woman that turns the investigation on its head. The expose has put more than Adams' life in danger. And it's not over yet. In 1975, 15-year-old April Cooper and her 18-year-old boyfriend embark on a week-long killing spree. No-one knows if April was a willing accomplice or a victim herself, as the pair were apparently killed in a bloody shoot-out. In 2015, Robin Brennan’s parents have been involved in a shooting. Her father is dead, and her mother is in a critical state, with Robin desperate for her to wake. 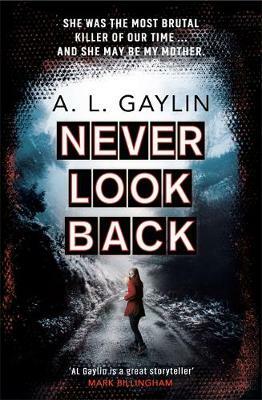 But when Jameson Malloy, the host of Closure – a true crime podcast investigating the San Gabriel Valley murder – shows up, Robin soon learns that her parents are maybe not who they say they are… Never Look Back is by A L Gaylin. Tell Me Everything is by Emma Rowley. You know nothing about her. But she knows everything about you. Olivia is the domestic goddess-turned-internet sensation who has won millions of followers by sharing her picture-perfect life online. And now she's releasing her tell-all autobiography. 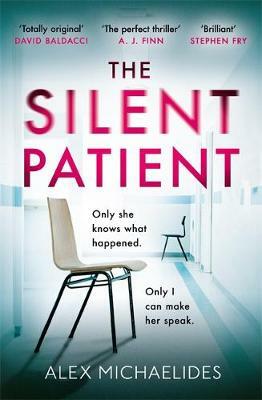 Nicky is the ghost writer tasked with coaxing out the full story - including details of the tragic accident that blighted Olivia's golden childhood. But, as she delves into Olivia's life, Nicky discovers cracks appearing in the glamorous facade. From money worries to Olivia's strained relationship with her handsome husband, the truth belies her perfect image. As Olivia becomes increasingly hostile to the woman she's let into her life, Nicky becomes ever more relentless in her hunt for the truth. Has Olivia really escaped the ghosts of her past - or will Nicky find there are more sinister reasons she wants to leave an old tragedy well alone? 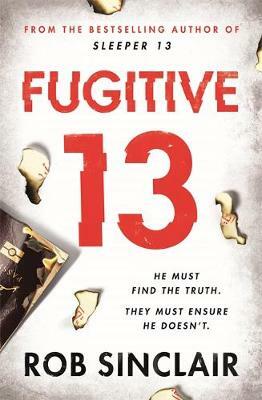 Fugitive 13 is by Rob Sinclair. Aydin Torkal - aka Sleeper 13 - is on the run. Hunted not only by the world's intelligence agencies, but also by the elite brotherhood of insurgents he betrayed, he has lived the past year like a ghost. Until now. MI6 agent Rachel Cox knows Aydin better than anyone. The only person who believes he is an ally in the on-going war on terror, not the enemy. So when a coded message arrives from him, warning her not to trust her own colleagues, Rachel must choose between her career and the truth. But as Aydin hunts down those who destroyed his childhood, the trail he follows will lead him closer to home than he ever expected. He won't stop until he has his revenge. He is FUGITIVE 13. No one will believe ... WHAT SHE SAW LAST NIGHT. Jenny Bowen is going home. Boarding the Caledonian Sleeper, all she wants to do is forget about her upcoming divorce and relax on the ten-hour journey through the night. In her search for her cabin, Jenny helps a panicked woman with a young girl she assumes to be her daughter. Then she finds her compartment and falls straight to sleep. Waking in the night, Jenny discovers the woman dead in her cabin ... but there's no sign of the little girl. The train company have no record of a child being booked on the train, and CCTV shows the dead woman boarding alone. The police don't believe Jenny, and soon she tries to put the incident out of her head and tells herself that everyone else is right: she must have imagined the little girl. But deep down, she knows that isn't the truth. What She Saw Last Night is by M J Cross. The Sound of her Voice is by Nathan Blackwell. Some murder cases you can't forget. No matter how hard you try. For Detective Matt Buchanan it is the death of 14-Year old Samantha Coates. That innocent girl he just can't get out of his head. He has probably been in the job too long. But when Buchanan pursues some fresh leads, it soon becomes clear he's on the trail of something big. As he pieces the horrific crimes together, Buchanan finds the very foundations of everything he once believed in start to crumble. He's forced across that grey line that separates right and wrong - into places so dark, even he might not make it back . . . In a dangerous alliance with troubled amateur sleuth Clementine Starke, DI Dominic Bell must hunt down a ruthless killer targeting a group of urban explorers who risk their lives exploring abandoned London locations. Can Starke and Bell identify the masked victims before it is too late? A group of anonymous urban explorers stumble into a murderer's kill room in a derelict film studio. Terrified, they run, thinking they are safe as no one in the group knows their identities. When one of them is brutally murdered during an exploration of an abandoned underground station, they realise they are being hunted. DI Dominic Bell and his team are investigating the series of murders but cannot find the connection between the victims. The only person who can help is Clementine Starke, who is researching adult thrill seekers as part of a university research project. However, Clementine is haunted by dark and violent obsessions, primarily her former relationship with DI Dominic Bell. 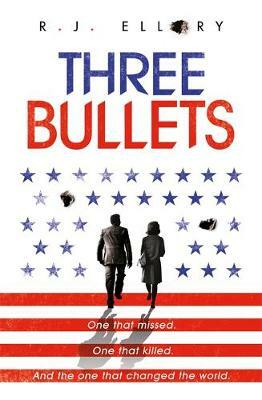 As the body count rises, Clementine Starke and DI Dominic Bell form an uneasy alliance to hunt the killer. But as they close in on their prey, and things turn personal, Clementine has to decide which side of the law she's really on. 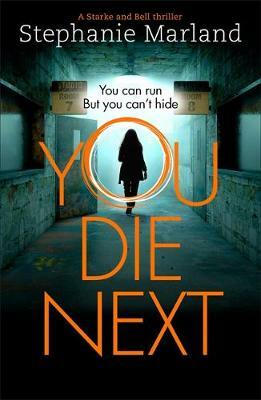 You Die Next is by Stephanie Marland. She's killed before. She'll kill again. Senior police officer Florence Lovelady returns to Sabden to honour a promise made to dying Larry Glassbrook, a serial killer she put away for murder. Four child skeletons have been uncovered near a children's home, and Larry insists these are not ancient remains. Liberated by the news of her father Larry's death, Cassie Glassbrook is now free to revisit her hometown to win back the love of her childhood sweetheart. She'll stop at nothing to get him back. As the two women return to the town that nearly took their lives thirty years ago, long-buried secrets are unearthed that could destroy them all. The Poisoner is by Sharon Bolton. 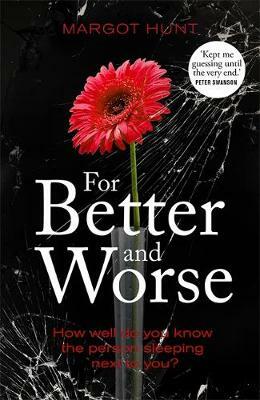 For Better and Worse is by Margot Hunt. On their first date back in law school, Natalie and Will Clarke bonded over drinks, dinner and whether they could get away with murder. Now married, they'll put the latter to the test when an unchecked danger in their community places their son in jeopardy. Working as a criminal defence attorney, Nat refuses to rely on the broken legal system to keep her family safe. She knows that if you want justice...you have to get it yourself. Shocked to discover Nat's taken matters into her own hands, Will has no choice but to dirty his, also. His family is in way too deep to back down now. He's just not sure he recognizes the woman he married. Nat's always been fiercely protective, but never this ruthless or calculating. With the police poking holes in their airtight plan, what will be the first to fall apart: their scandalous secret - or their marriage? Tobias Winter has been assigned to the Abteilung KDA – the Department for Complex and Unspecific Matters. Despite the intriguing department name, as Winter explains, dealing with the strange and the supernatural is ‘actually 90% paperwork’. But this is a story about the other 10% of the job: the life-threatening danger part. This is a tale about the Queen of the Harvest, the October Man, and the little-known time the vineyard around Trier started to eat people . . . Winter may be PC Peter Grant’s German counterpart, but surviving this investigation is entirely down to him . . . October Man is by Ben Aaronovitch. Rebecca didn't know love was possible until she met Paul, a man with a past as dark as her own. Their demons drew them together, but twenty years later, the damage and secrets that ignited their love begin to consume their marriage. When Paul catches the attention of the police after two women go missing, Rebecca discovers his elaborate plot to build a new life without her. And though Rebecca is quickly spiralling out of control, it doesn't stop her from coming up with her own devastating plan for revenge... they made a promise to each other, after all. Til death do they part. 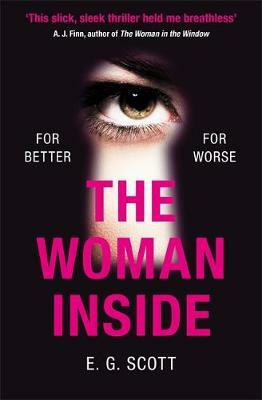 The Woman Inside is by E G Scott. 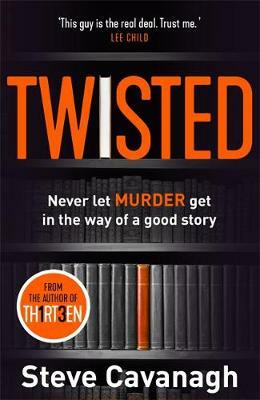 Twisted is by Steve Cavanagh. Who is JT LeBeau? A bestselling crime writer, whose words have gripped the world. The only mystery greater than his stories is his true identity. One woman thinks she's found him - her husband has millions in the bank and a letter for the enigmatic author. But the truth is far more TWISTED. Jaded reporter Andrew and his photographer boyfriend, Carlos, are sick of telling just another story: from cartel massacres to corrupt politicians, sifting the dregs of Mexico's drug war, they think they've seen it all. 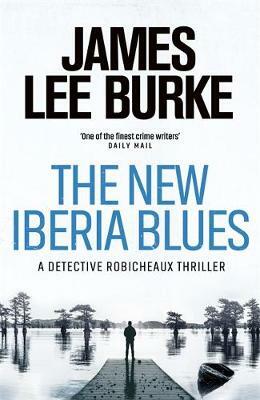 But when they find a body even the police are too scared to look at, what started out as just another reportage becomes the sort of story all reporters dream of.... until Carlos pushes for answers too fast, and winds up murdered, leaving Andrew grief-stricken and flailing for answers, justice, and revenge. Caught in a web of dirty money that stretches from the boardrooms of the United States to the death squads of El Salvador, Andrew must decide whether to save himself - or find out who killed the man he loves, and destroyed the only home he's ever known. Call Him Mine is by Tim MacGabhann. What happens when a private investigator ends up being the one uncovered? Having lost everything after a failed marriage, Beverley Sanders now lodges in the basement flat of a house owned by her best friend Sophie and husband, Tim. With her former glittering marketing career in the gutter, she begins to do investigative work for other wronged women (gathering dirt on philanderers, bosses and exes). Beverley takes on the case of Sophie's friend, Angela who is seeking to uncover grounds for divorce from her husband, Jerry, the shadow Science Minister, who is knee-deep in corruption, sleeping around and leeching off her money. She takes the case but soon discovers that she isn't the only one who doing the investigating, and Beverley has a secret history she doesn't want coming out... Tightrope is by Marnie Riches.